1.3 This policy shall apply [to all of our customers, irrespective of their geographical location]. 1.4 This policy shall apply to [all orders submitted through our website]. 3.1 In order to take advantage of your rights under this policy, you must [contact us to obtain a return authorisation number, and then send the product to us with a covering note quoting that number]. 3.2 Products returned under this policy must be [sent by Royal Mail Signed For delivery] to [33 Nunnery Lane, Worcester, Worcestershire. WR5 1RQ]. 5.2 We will[ not] refund to you the original delivery charges relating to the returned product. 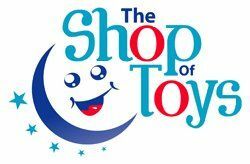 7.1 This website is owned and operated by [The Shop Of Toys]. 7.2 Our principal place of business is at [33 Nunnery Lane, Worcester, Worcestershire. WR5 1RQ].